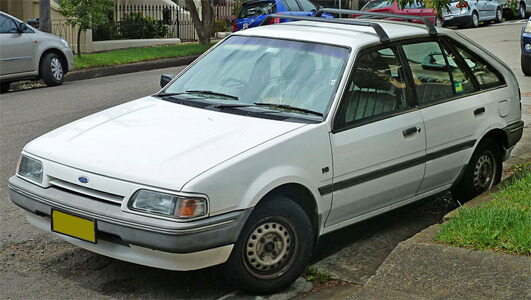 The Ford Laser and Meteor made between 1985 and 1990 shared the same body, engine, driveline and components as the Mazda 323 of the same time. As such this manual provided is for the Mazda 323, however all specifications remain the same between the Ford and Mazda variants. Topics include: General information, scheduled maintenance, engine / lubrication / cooling / fuel & emissions for the following engines: B6 EGI, B6 DOHC, EGI Turbo, engine electrical systems, clutch, transaxle (manual, automatic and manual 4WD), propellor shaft (driveshaft), front and rear axle, steering system, wheels and tyres, suspension, body, body electrical systems, technical data, special tools, wiring diagrams.